On December 3, 2018, the IDF launched Operation Northern Shield to destroy tunnels constructed by Hezbollah that extended across the Lebanese border into Israel. The IDF announced the discovery of the tunnels on December 4. The military said it has been aware since 2006 that Hezbollah was trying to construct attack tunnels stretching from Lebanon into Israel at several points along the border. Shapira explained that Hezbollah planned to move hundreds of fighters through the tunnels. The group created special forces, the “Radwan Forces,” to train for an eventual operation to seize control of isolated Israeli communities along the northern border. IDF Spokesperson Ronen Manelis said details about the number of tunnels was classified. He said it was a “small number.” He added that the tunnels did not constitute an immediate threat and they were still unfinished. One 600 foot tunnel extends from under a home near a UNIFIL post in southern Lebanon into Israel near the city of Metulla where Radwan units intended to infiltrate and cutoff the city. The military said it took about two years to build the tunnel, which was found roughly 80 feet underground and was 6 feet wide and 6 feet tall. It extended 130 feet into Israeli territory. On January 12, 2019, the IDF discovered a sixth tunnel, the largest of them all. The tunnel is reaches dozens of feet into Israeli territory and contains “railroads to transport equipment, garbage, lighting, and ladders to enter Israeli territory.” After destroying it, the army said, “the threat posed by the tunnels has been eliminated,” and the operation was completed the following day. Beyond the display of IDF military-operational and technological power, particularly noteworthy is the intelligence achievement: once again, the IDF proved its intelligence superiority by discovering the tunnels and covertly tracking their progress over a period of years. Hezbollah, which had planned to surprise Israel, was instead surprised by Israel’s action. 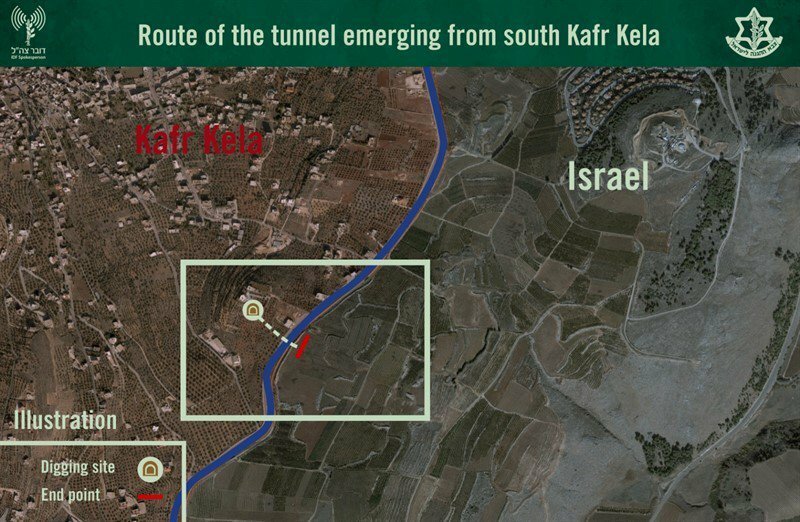 UNIFIL, which is tasked with preventing Hezbollah from moving fighters or weapons near the border, confirmed the existence of at least two tunnels. The one near Metulla and a second located just to the north. A third tunnel was found near the town of Yiftah and a fourth and fifth in unspecified locations. The Lebanese government has denied UNIFIL access to the tunnels and prevented the peacekeepers from confirming their entry points. Operation Northern Shield shows how deeply Israeli military intelligence has managed to penetrate Hezbollah and glean accurate information from one of its best guarded secrets. Hezbollah will now have to once again start a soul-searching and self-damaging process of asking itself what went wrong, how the enemy obtained information about the tunnels and whether there are traitors and spies among its own ranks. Israel notified the United Nations about “underground infrastructure” dug by Hezbollah in Lebanon, including tunnels that have not yet crossed the border into Israeli territory with the expectation UNIFIL would investigate and take steps to ensure the tunnels are not completed. “Israel tells UN more Hezbollah tunnels in Lebanon: report,” i24NEWS, (January 28, 2019).